Home / Stock Picks / Stocks to Buy / The 7 Best Video Game Stocks to Power Up Your Portfolio! Over the last several years, few investment sectors have generated as much buzz and excitement as video game stocks. As gaming culture evolved from a niche subgroup to a global, mainstream phenomenon, both game makers and console manufacturers have enjoyed spectacular growth. At the same time, mass anticipation is a double-edged sword. When video game publishers establish dominance with their flagship titles, Wall Street expects sustained success. When that doesn’t happen, the volatility among gaming stocks is often brutal. Unfortunately, investors got a taste of that whiplash when several high-profile game developers disappointed with their latest releases. Moreover, 2018 represented bad timing and misfortune for even the best stocks in the gaming arena. The broader selloff that occurred in the final quarter of last year took down most publicly traded companies. Further, the ongoing U.S.-China trade war did video game stocks no favors. After all, the Asia-Pacific region holds the largest market for the industry. But it wasn’t just “big picture” trends that negatively impacted gaming stocks. Competitive threats, such as Epic Games’ free-to-play (FTP) title Fortnite, have forced mainstay contenders to reexamine their business model. Fortnite makes its revenues off of in-game purchases, which is a relatively new phenomenon. Despite obvious challenges, video game stocks also offer contrarian optimism. These companies tend to feature boom-bust cycles. A cursory look at their technical charts indicates that we’re in the bust phase of that cycle. If you follow through with the logic, now may be the ideal time to load up. Plus, gaming stocks tap into a proven and viable growth market. Engagement across demographic categories is only increasing. Eventually, the top names will find their way out of their malaise. So with that in mind, let’s discuss the seven best stocks for any video game portfolio! I’m about to upset fans of rival gaming consoles. However, the numbers don’t lie. 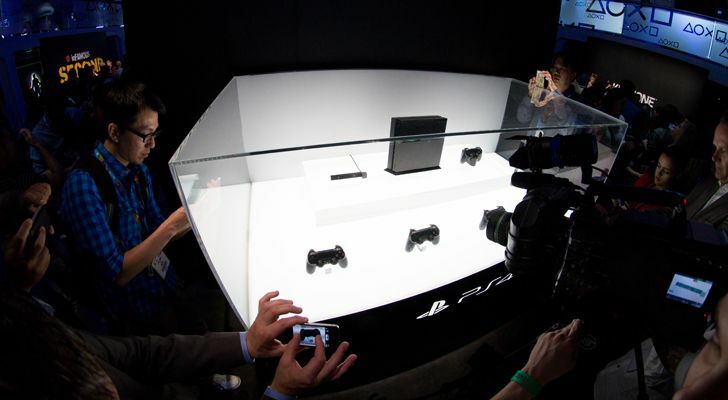 When it comes to video game stocks, Sony (NYSE:SNE) stands above the rest. Last month in a press conference before the Consumer Electronics Show, SNE announced that lifetime sales of its PlayStation 4 console hit nearly 92 million units. To put this haul into perspective, the predecessor PS3 — a successful release in its own right — sold 84 million units. Of course, the difference is that the current-generation PS4 still has some shelf life left. What this outrageous popularity tells us is that the PS5, when it finally comes out, will once again dominate. That’s a bold statement, considering that I just stated that gaming stocks suffer frequent volatility. But SNE leverages an enviable content umbrella. With that advantage, I expect them to gain significant mileage through PlayStation-exclusive titles. 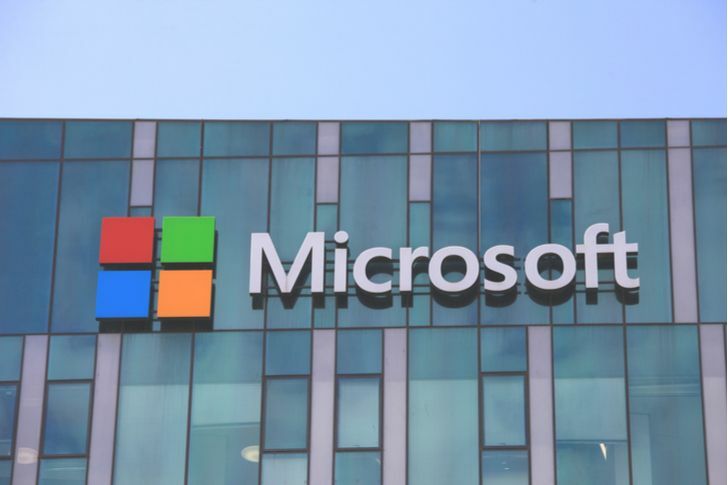 Coming in second place is typically a disappointing result, especially if you’re an alpha dog like Microsoft (NASDAQ:MSFT). That said, the software and cloud-computing giant’s Xbox One console is no slouch, having shipped more than 40 million units worldwide. Initially, it appears that MSFT is choking on Sony’s tailpipe. Much of that is due to the latter’s content advantage. However, nothing much separates the two consoles from a technical perspective. Also, the predecessor Xbox 360 sold 86 million units worldwide, eclipsing the PS3. Some extra life remains before the successor rolls around, so the current tally will likely increase. In addition, MSFT levers its own exclusive titles, such as the ultra-popular Halo series. That and Microsoft’s unbeatable reach in computer software and relevant hardware makes Microsoft one of the best gaming stocks to buy. Back in the 1980’s, Nintendo (OTCMKTS:NTDOY) offered a paradigm shift among video game stocks. Prior to Nintendo’s iconic console format, consumer video games were clunky affairs. Future versions, such as the Super Nintendo, helped bridge the performance gap between arcade machines and home-entertainment systems. Usually in the tech sector, going retro is not an attribute. For instance, you’ll never see me work on an Apple (NASDAQ:AAPL) IIc computer. But with gaming stocks, nostalgia drives big revenues. NTDOY released miniature versions of their classic consoles to rave reviews. At one point, these retro offerings beat PS4 and Xbox One sales, prompting copycat responses. But NTDOY isn’t just about profiting from past successes. Instead, Nintendo has found new life with its unique Switch product. With this hybrid home-and-portable console, Nintendo aims to drive sales to multiple members of each household. With a personalized flair and attractive pricing, the Switch might be a gamechanger. I’ve always viewed the predecessor to Sega Sammy (OTCMKTS:SGAMY) as the “bad boy” among video game stocks. Covered in an all-black chassis, and emblazoned with futuristic font, the iconic Sega Genesis contrasted sharply with Nintendo’s family-friendly consoles. Some of its games, including Mortal Kombat (with the “blood code”) lived up to the bad-boy hype. Unfortunately for Sega fans, the Genesis and its successor Saturn couldn’t keep up with Sony and Nintendo. Eventually, Sega would give up on the console business altogether, instead focusing on video-game development and publishing. Later, Sega and pachinko-machine manufacturer Sammy merged to form SGAMY. Admittedly, SGAMY is the riskiest name within companies that have gaming-hardware exposure. That said, favorable Japanese legislation towards casinos can potentially breathe new life into Sega Sammy. Plus, SGAMY reserves the option to tap into the nostalgia market with its own throwback console. 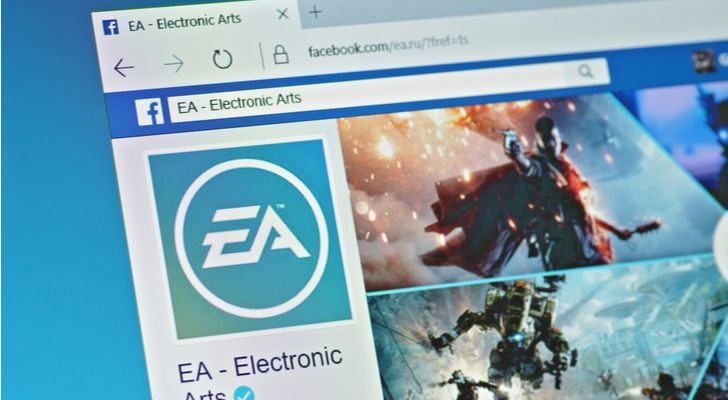 Within the development and publishing sphere, very few names have achieved the far-reaching success of Electronic Arts (NASDAQ:EA). However, no one also knows how to shoot themselves in the foot like EA. After dominating most other video game stocks, EA came crashing down due to their own hubris. Gamers blasted Electronic Arts for botching their Battlefield V launch. What once was supposed to be their hallmark moment turned into a PR nightmare. Adding to the woes, the game itself had multiple bugs. Several critics pointed out that the gameplay was boring, suggesting that EA released the title prematurely. Naturally, EA stock bombed. However, the markets assume that the company won’t learn from its mistake, which is itself a mistake. For instance, EA recently released an FTP game called Apex Legends, which has gained significant traction. Plus, with another Star Wars movie coming up, EA can leverage its exclusive license. 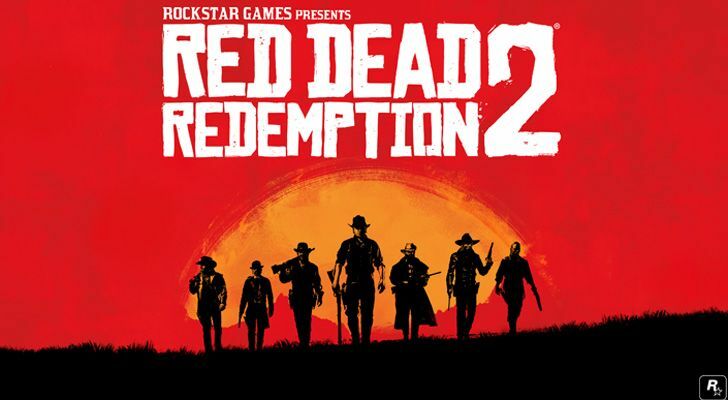 Perhaps no other name among video game stocks highlights the sector’s volatility than Take-Two Interactive Software (NASDAQ:TTWO). Relative to the competition, TTWO produced solid results for its recent earnings report. It exceeded consensus targets for earnings per share, although it missed revenue expectations. What did TTWO in, though, was a poor sales outlook for the upcoming Q4. However, I think the Street is missing the forest for the trees. What the earnings print revealed was that Take-Two is one of the gaming stocks least impacted by Fortnite. 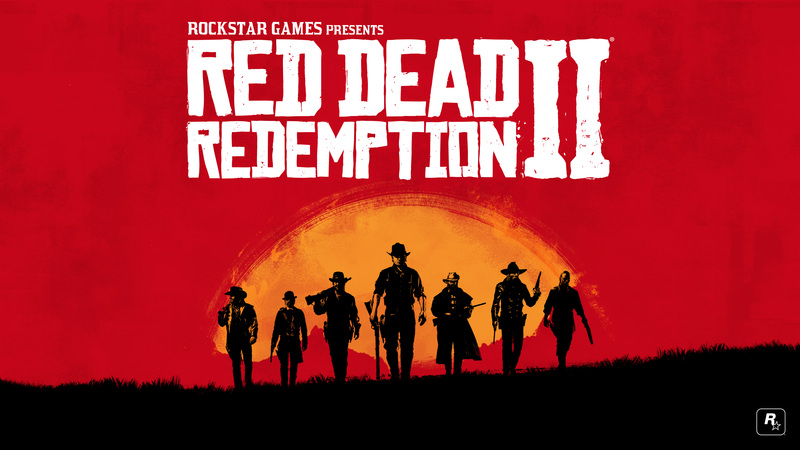 A resounding performance from the company’s flagship title, Red Dead Redemption 2, ensured that competitive privilege. Additionally, the markets apparently have not figured in Take-Two’s in-game purchases, which increased 31% against the year-ago quarter. Since such purchases drove Fortnite’s financial success, logically, this metric bodes well for TTWO stock. Ultimately, I agree with our own Ian Bezek: Take-Two is the most convincing among the contrarian cases for video game stocks. Ubisoft Entertainment (OTCMKTS:UBSFY) perfectly demonstrates the need to strike while the iron is hot. Last year, UBSFY was on the verge of returning nearly 60% profits. That would have made it one of the best stocks to buy in the gaming industry. However, the broader market selloff negated almost all those gains. Even this year, UBSFY has proven incredibly volatile. In early February, shares were up over 15%. Now, they’re under parity. But like the other names on this list, I think the Street is overreacting to competitive threats. While FTP games have currently altered the landscape, their longer-term impact remains unproven. Moreover, I really like Ubisoft’s content portfolio. Among its library of compelling games, UBSFY is most famous for its Assassin’s Creed series. Plus, UBSFY is getting serious mileage out of its ultra-popular shooter Rainbow Six Siege. I expect unprecedented demand should the company release a sequel soon. As of this writing, Josh Enomoto was long SNE. 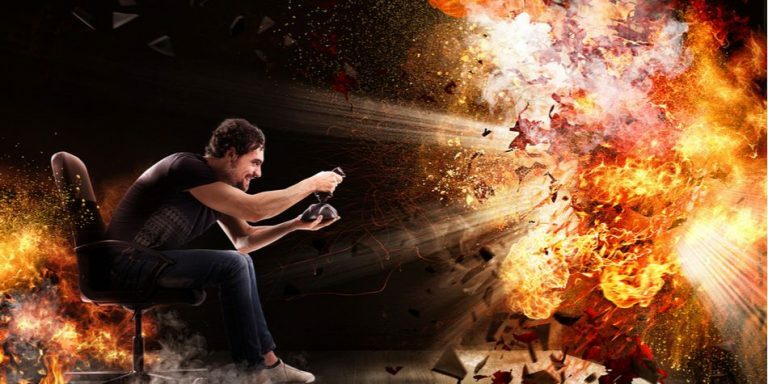 Article printed from InvestorPlace Media, https://investorplace.com/2019/02/the-7-best-video-game-stocks-to-power-up-your-portfolio/.